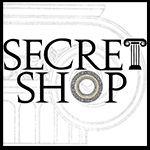 Secret Shop is an online boutique created with the aim to bring the best of what the world of fashion can offer, from Greece and Cyprus. In our store you will find high quality products, from Greek and Cypriot fashion houses, made from premium materials and garments. Perfectly sewn by professionals of the genre, up to the last detail. We emphasize in testing every product before sending it, and pack it carefully to arrive at your door in perfect condition! We know that the key to success is satisfied customers, so we focused on creating a store which offers high quality products and complies with the legislation of the European Union on consumer rights of fair treatment and proper inform. Our goal is not to sell mass production products, but to offer clothes that are, as unique, as every woman is. This is why most of our products are of limited quantity. In SECRET SHOP you will find a variety of products for your casual and formal appearances, absolutely responding to the latest fashion trends. In SECRET SHOP we know well the importance of the quality of the clothes. It is very important to buy clothes that fit well. Clothes should not be narrowed or cause a sense of discomfort, annoyance, or impede walking. Even if we never felt a kind of allergy, it would be better to have clothes that are created after hypo-allergic fabrics. This way we will minimize the chance of irritations or allergic reactions. They are made to endure, thus to last longer in time. Clothes are made without pesticides, chemical or toxic dyes and are environmental friendly. Natural fibers help our body breath and keep it dry, while offering a natural protection. So we did, learned and specialized to be able to judge whether something is of worth, and of course guarantee for it. However, we wouldn’t like (and it would not be honest) these guarantees to be something vague. For this reason we created the SECRET SHOP LICENCE. We will explain everything about it below. As you all know, the material from which a garment is constructed, obviously determines its quality. But it is not the only feature to specify whether the garment is worth buying or not. Features like the country of manufacture, the seams, the proportions or the lining are equally important, and can diminish the “real quality” of the product. If you would like to make a good and successful purchase, you need to check the garment from many different angles. The SECRET SHOP LICENCE, is the guarantee that all quality standards of a garment have been examined by our experienced and dedicated team, and consequently that its purchase is a “successful” one. We take care of your clothes before they get to you, but you also should take these tips into consideration, and follow them as much as possible. In time you will very well understand their great importance. We are here to offer you the best.